Typewriter – There is just something so romantic about a typewriter. Thinking of the great authors like Ernest Hemingway, Virginia Woolf and Sylvia Plath typing away softly on a word processor and backspacing patiently as they delete unsatisfactory words and paragraphs somehow just doesn’t hold the same appeal as imagining them banging away furiously on the typewriter keys, hurling balled up pieces of paper across the room in a writer’s block-induced fury, or, better still, passionately hurling the entire thing into the sea, as Leonard Cohen is alleged to have done with his typewriter after writing the final words of his novel, “Beautiful Losers”. From its humble beginnings back in 1873, the typewriter has recently enjoyed a resurgence in popularity. Today, owning a typewriter (even if you don’t actually use the thing) instantly makes one cool, especially among the hipster and street-poet brigade. There’s something about the nostalgia and vintage look of the contraption that lends it appeal with those crowds. You only have to look around at the size of Steampunk communities online (and the incredible designs they come up with!) to see how revered the typewriter really is. 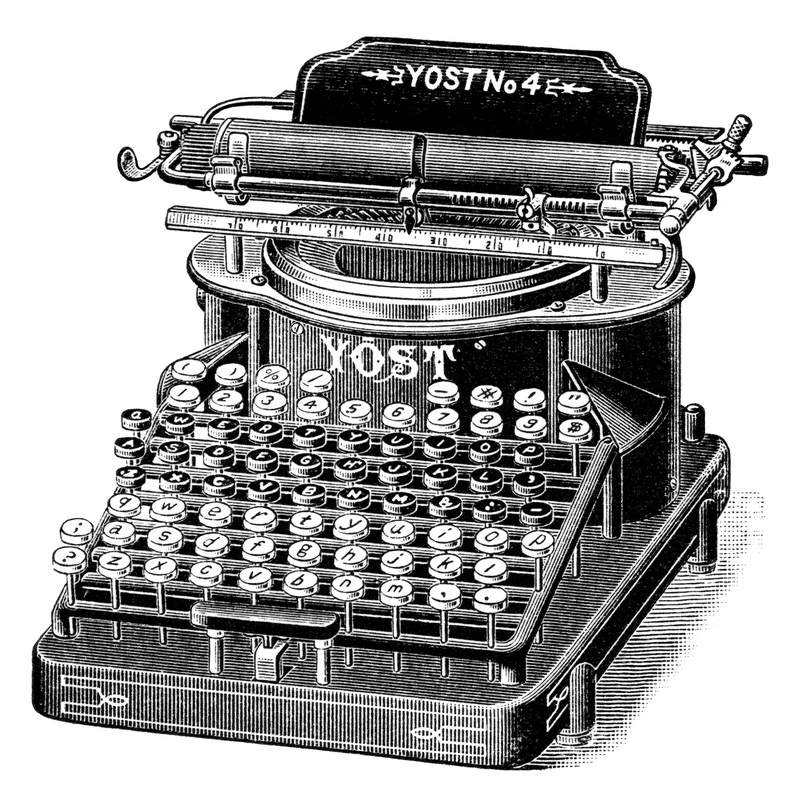 Although word processors on both personal computers and mobile devices have taken the place of typewriters in most parts of the Western world, the typewriter still remains popular in many places globally, including America and India where it is used in police stations and nursing homes. And we can’t forget that our electronic keyboards are laid out the way they are because that’s how typewriters were laid out. Interestingly, the most common key layout today (at least in English speaking countries) is QWERTY but it’s argued that the Dvorak layout (named after its creator, Dr August Dvorak) uses less finger motion which leads to fewer errors and reportedly faster typing speeds! And typewriters are not just for writing either. The carriage return bell was used to particular effect in 1973 when Pink Floyd used it as a percussion instrument during the recording of their song, “Money”. So, move over laptops, iPads, tablets and phablets! The lowly typewriter is here to stay! Next post: Sleep? Early Bird? Owl?